This wonderful, folksy paper, clearly American in style and design, was found in the home of Ada Harris, a legendary antiques dealer from upstate New York. The house was originally a tavern in Sangerfield, along the post road from Boston to Buffalo. 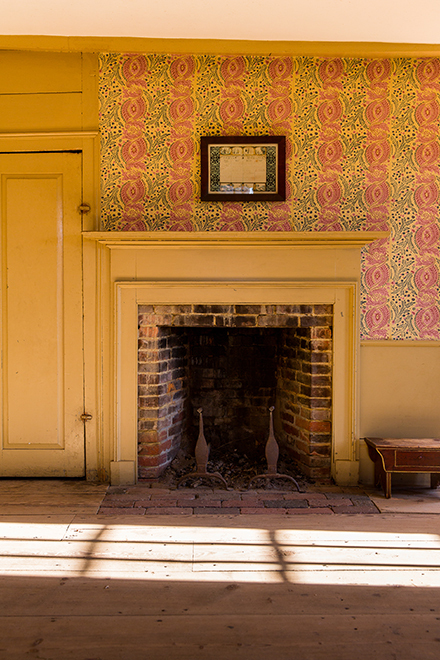 Ms. Harris claimed the paper was from an upstairs bedchamber; it is typical of the exuberant colorways popular in that area. Probably printed in Albany, certain aspects of the pattern are reminiscent of stenciling. Specific design elements such as the pointed lozenges and small leaf sprigs are very similar in size and shape to those found in Adelphi’s Middlefield Sprig and Pineapples. 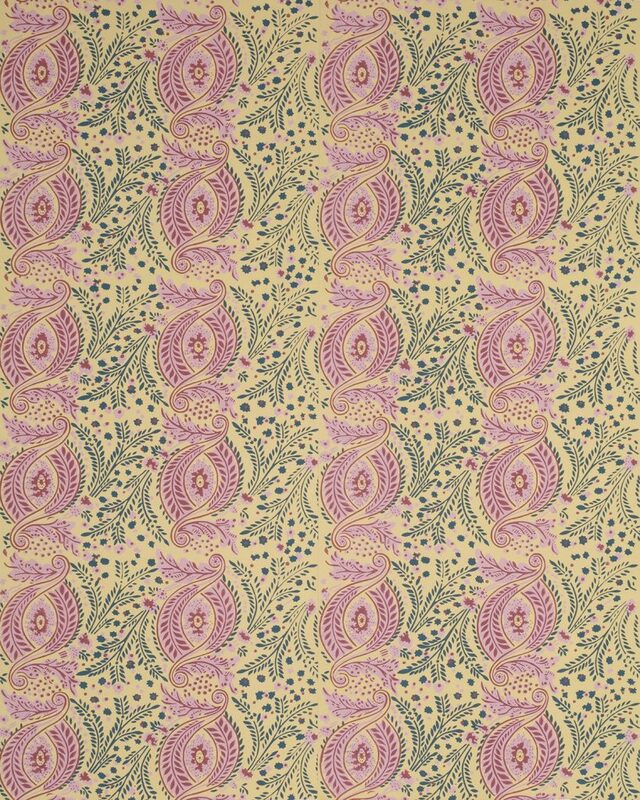 The vertical, columnar arrangement of paisley motifs and laurel sprigs is typical of the 1810-20 period. Free from the influence of the French aesthetic so prevalent at the time, this is a great example of American wallpaper. Imperial Measurements: Repeat 16 inches, width 18 ½ inches, length 11 yards, straight match. Metric Measurements: 40.6 cm, 47 cm, 10 m.